A Preaction System is a system which employs automatic and closed-type sprinkler heads connected to a piping system that contains air (either pressurized or non-pressurized), with a supplemental system of detection serving the same area as the sprinklers. These systems are typically used in applications where the accidental discharge of water would be catastrophic to the usage occupancy (for example; computer servers and high voltage electrical components). 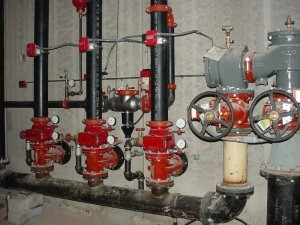 Preaction Systems are similar to Dry Pipe Systems in that the water is kept from entering the piping by a valve, in this case a preaction valve. This valve is held closed electrically, only being released by the activation of the detection system (heat or smoke detectors mainly) when an electrical signal is sent to the releasing solenoid valve. The water then fills the pipe, ready for the activation of the sprinkler heads. 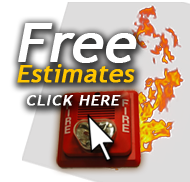 Preaction systems can be arranged to be activated by only one detection device type, or many. The best areas to install these systems are computer rooms, process control rooms, data storage, and telecommunications rooms. 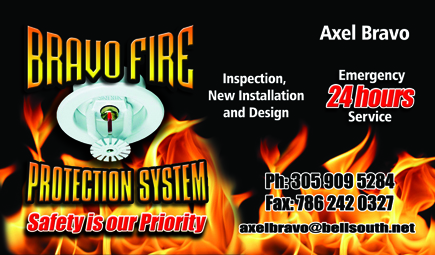 Click here to view more information on Pre-Action systems.